What’s new at the home show? 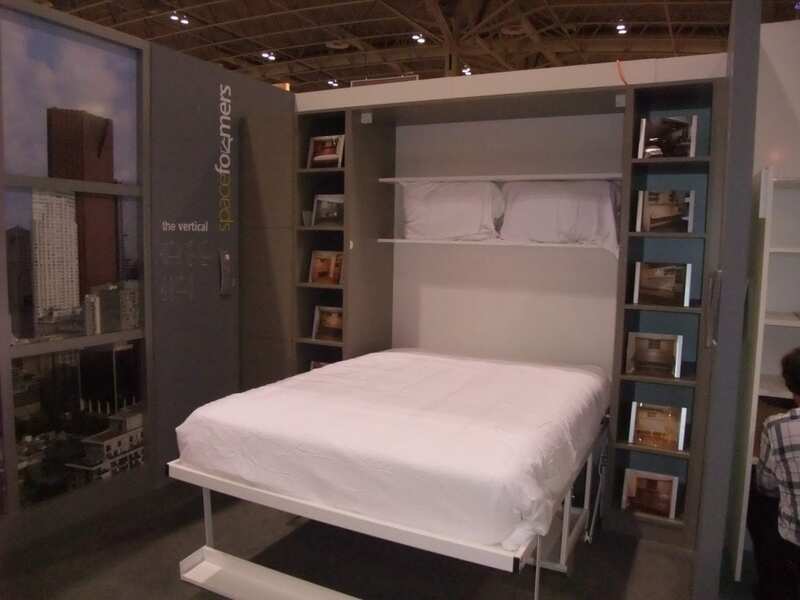 I recently attended the National Home Show in Toronto, Canada. 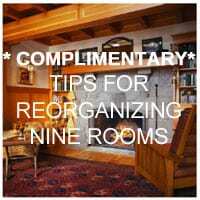 As an organizer I was looking for new and exciting ideas for organizing your home. Many people are choosing to live in small spaces. If your home is small than everything needs to have more than one function. 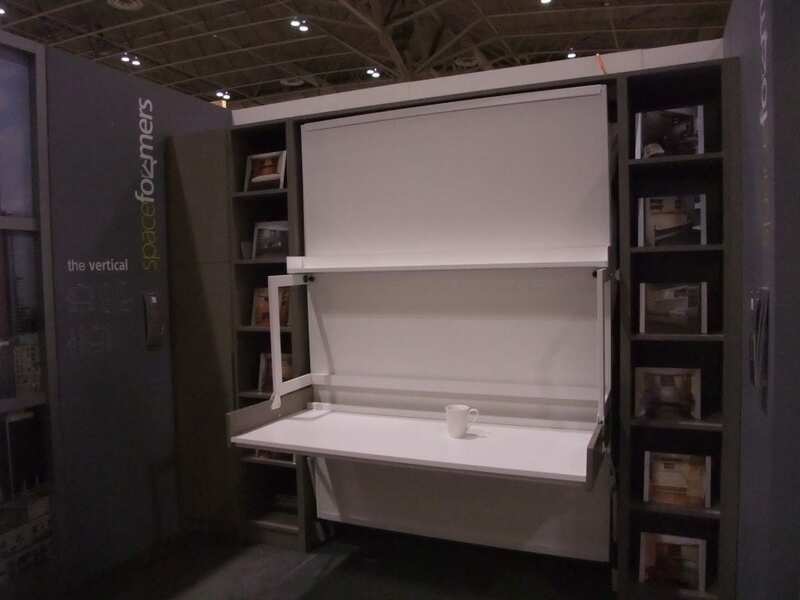 This dual purpose desk/bed is great for small rooms. and a bed in a cabinet. The bed also has a drawer for storing bedding and other items. It looks like a lovely piece of furniture…. Depending on the shape of your space one type of unit maybe better than another one. 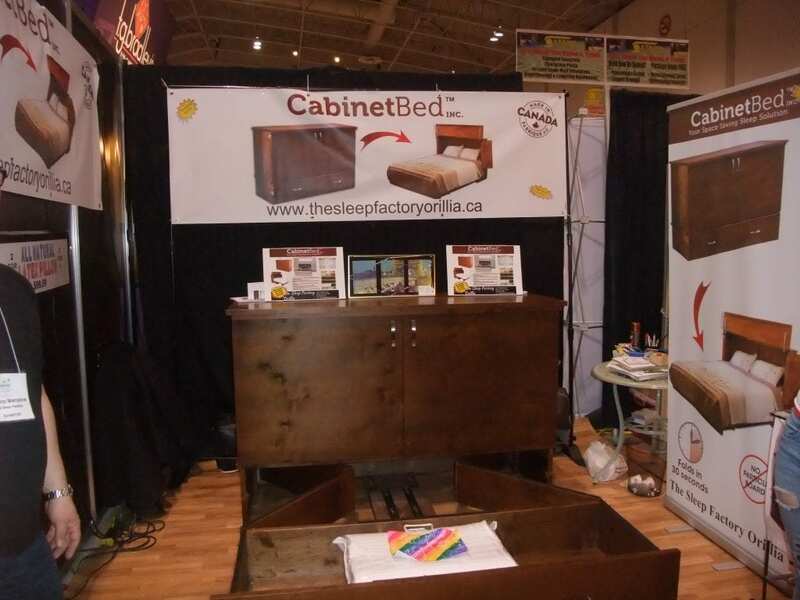 The selling feature of the bed in a cabinet is it doesn’t need to be attached to the wall and seemed to be the design that it could be easily moved around within a home or to a new home. 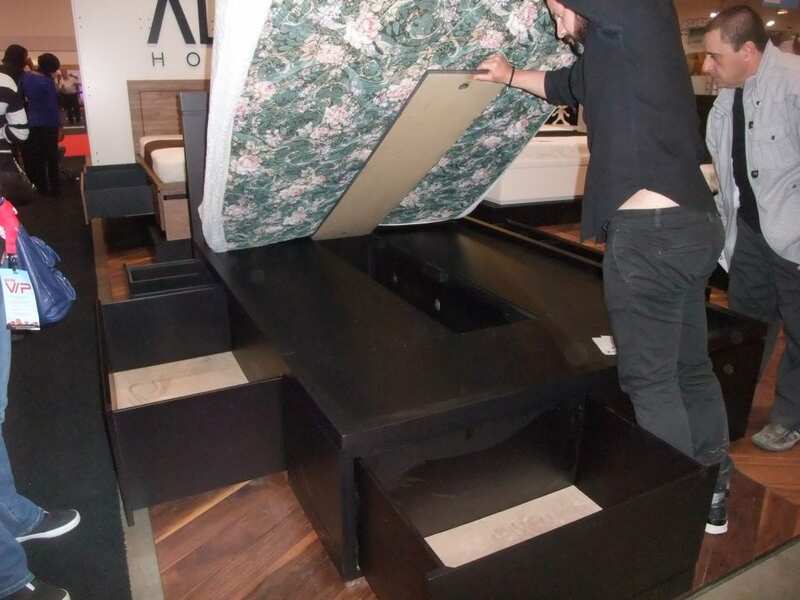 Buying a bed that allows you to have great storage options can solve some problems. 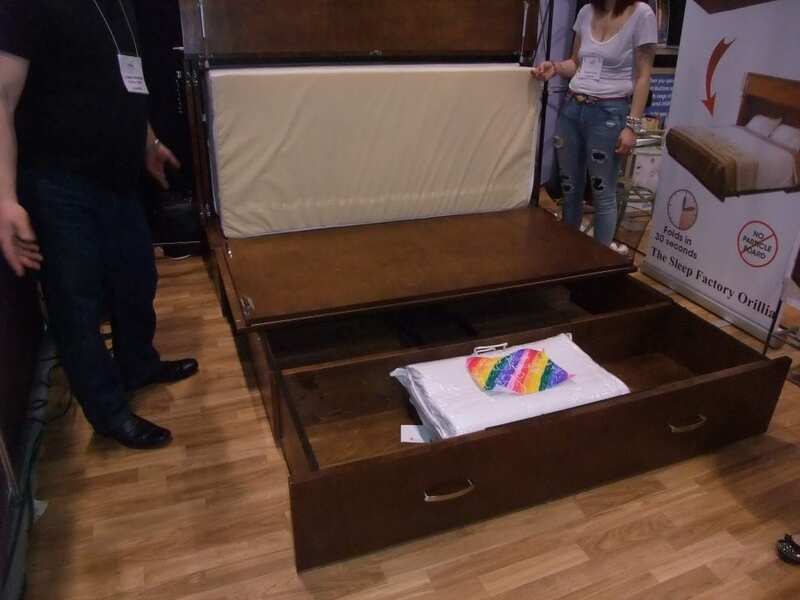 This bed has drawers for storage, on the end and the side as well as under the mattress. What is the most versatile piece of furniture you have seen or purchased?